American violinist Joan Kwuon is widely recognized for her commanding interpretations, graceful flair, and deeply communicative voice. Her artistry is committed to a diversity of musical periods and styles ranging from Bach and Beethoven to Stravinsky and Takemitsu. Joan Kwuon made her Tanglewood Music Festival concerto debut at the invitation of Sir André Previn in 2000 and her recital debut at Lincoln Center’s Alice Tully Hall the following season. She has since appeared with leading orchestras of North America, Europe, and Asia, and in recital and chamber music internationally. Ms. Kwuon’s virtuosity and radiant stage presence have been recognized by media ranging from The Today Show, CBS News, and Lifetime Television to National Public Radio. Celebrating Mozart’s 250th birthday, Ms. Kwuon toured the United States performing Mozart Violin Concerti with the Royal Philharmonic Orchestra conducted by Charles Dutoit and Matthias Bamert. She performed the Sibelius Violin Concerto with the London Symphony Orchestra and André Previn in Cardiff, Wales and the Mozart Violin Concerto No. 3 with Maestro Previn and the Prometheus Chamber Orchestra at Carnegie Hall. Ms. Kwuon’s other recent debuts and return engagements include the Brahms Violin Concerto with the Orquesta Sinfonica de Venezuela, Bilkent Symphony Orchestra in Turkey and the Festival Internacional Cervantino in León, Mexico, in addition to the Prokofiev Violin Concerto No. 2 with the Chautauqua Symphony Orchestra, Mozart Violin Concerto No. 5 with the Rochester Philharmonic, Prokofiev Violin Concerto No. 1 with the Reno Chamber Orchestra, Mendelssohn Violin Concerto with the El Paso Symphony, and Beethoven Violin Concerto in the Czech Republic with the Janacek Philharmonic. Joan Kwuon made her Metropolitan Museum recital debut in 2006 and in 2008 returned to the Metropolitan Museum with pianist, André Previn in Sonata Recital. Ms. Kwuon and Mr. Previn also performed at the Kimmel Center for the Performing Arts in Philadelphia and for the Anne Ratner Concert Series in NYC. She has opened the Mixon Hall Masters Series at the Cleveland Institute of Music and has appeared on the Ravinia Festival Rising Stars, Caramoor’s Great Artists Series, San Francisco Performances, Hampton Arts Series, Tannery Pond Concerts, University of Illinois’ Krannert Center, The Peggy Rockefeller Concerts in New York City, Universities of Georgia, Long Beach, Iowa, George Mason, Hoam Art Hall, Wooster College, and the St. Petersburg Conservatory in Russia. She has enjoyed collaborations with Cho-Liang Lin, Jaime Laredo, Sharon Robinson, the Juilliard String Quartet, Bright Sheng, Heidi Grant Murphy, Cecile Licad, Vladimir Feltsman and Tony Bennett with whom Ms. Kwuon has performed in duet at Jazz Lincoln Center, Tanglewood, and most recently at the MusiCares Grammy Awards Gala. Born in Los Angeles, Joan Kwuon began her musical studies at the piano at age five and violin at age six. She attended Crossroads School and studied at Indiana University with Miriam Fried, The Juilliard School with Joel Smirnoff and the Cleveland Institute of Music with Donald Weilerstein. She has taught at The Juilliard School and has been guest artist/faculty at numerous music festivals including Great Mountains Music Festival in South Korea, La Jolla’s Summerfest, Bowdoin International Music Festival, and the Heifetz International Music Institute. 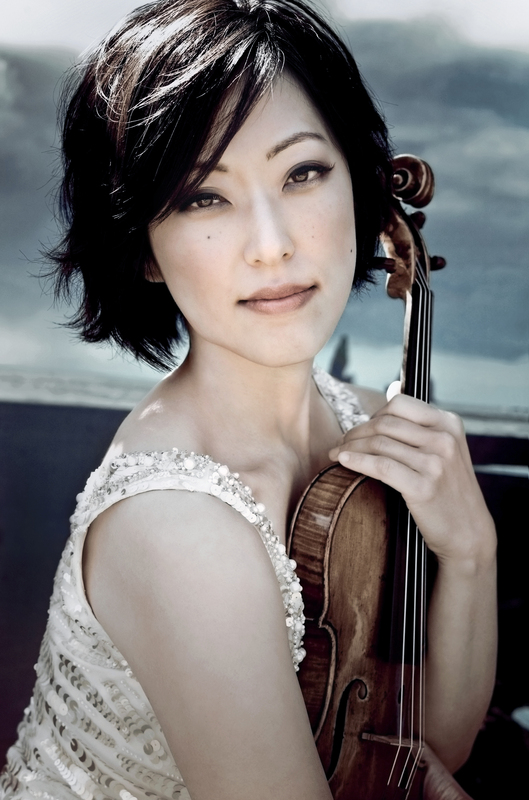 In 2009, Ms. Kwuon was appointed to the violin faculty of The Cleveland Institute of Music.